TV maths boffin Carol Vorderman knows what she’s talking about when it comes to getting top marks in maths. Try her study handbooks and see how she does it! 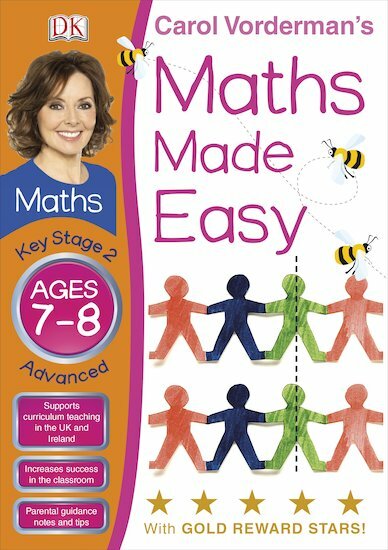 Full of fun exercises that deliver real results, this advanced book covers the trickier skills you’ll need to shine at Key Stage 2. Once you’ve covered the basics, move onto these exercises and show how much you can improve. As Carol says, “the more you practise, the better you’ll be!” So just follow her instructions to become a true brain box – and reward yourself with stickers as you do it!